Brighton Fire Rescue District, formed in 1888 with 5 stations covering 150 square miles in Adams & Weld Counties including the towns, cities and areas of Commerce City, Henderson, Lochbuie & Wattenburg. Department. In 1961 the City of Brighton determined it would no longer support fire protection outside the city boundaries, and rural residents formed Brighton Rural Fire District providing fire protection that covered 196 square miles. In 1980 the two entered into a joint process evaluating the working agreement between the two entities as Brighton Fire Protection District. In 1987 the voters of Adams County approved the sale of 44 square miles of land to the City and County of Denver for a new airport (DIA). The site of the new airport would occupy nearly 40 square miles of the Fire District with the completed facility to be “bordered” on three sides by the District. The area of the District was reduced by those 40 square miles of area. Due to construction delays, Denver International Airport was not formally opened until February 28, 1995. 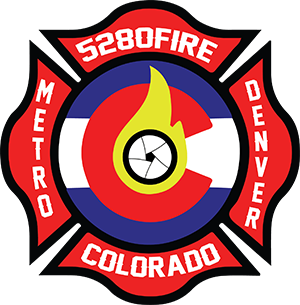 Because Denver was not able to complete a fire station on the Airport quickly enough, Brighton Fire continued fire service on the airport site until 1992. 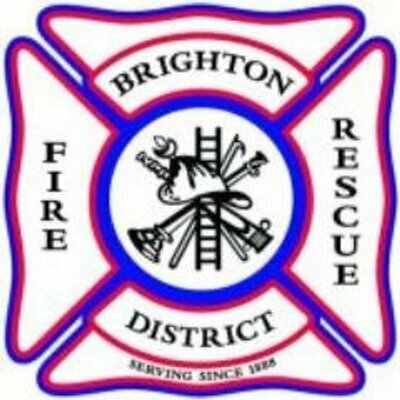 In 1999 the district changed the name to the Greater Brighton Fire Protection District. The named was changed in 2011 to the Brighton Fire Rescue District. Additional history information was provided by Brighton Fire Rescue District. Brighton Fire Rescue District is part of the North Area Technical Rescue Team. Brighton Fire Rescue District is dispatched by Adcom 911.